And thanks to his reading classic children’s tales on Jackanory, and voicing 60-odd episodes starring those early recyclers The Wombles, that meant that when I read his new – and hugely enjoyable – autobiography, it was as if he was reading it to me himself. “That’s very kind, thank you!” laughs Bernard who, incredibly, will turn 90 between Christmas and New Year. The book is full of amazing coincidences and one of those saw Bernard bump into legendary children’s author Roald Dahl at a party shortly after he’d read his most famous book on Jackanory. “I’d just finished reading Charlie And The Chocolate Factory on Jackanory, and I was about to do James And The Giant Peach,” recalls Bernard. “This party was at my old pal Lionel Jeffries’ house, and Roald Dahl was there as he lived fairly close by and he’d written the screenplay for Chitty Chitty Bang Bang in which Lionel played Grandpa Potts. Jackanory started in 1965 and Bernard described it as one of the best things he’s ever done, reading more stories than anyone else between then and 1979. But Bernard says what makes him most proud of it was when he hailed a London cab in the early 70s, and recalls: “What that taxi driver said still gives me shivers. Jackanory didn’t sound like the recipe for a classic children’s TV show – someone sitting, reading a story with no gimmicks whatsoever apart from the odd picture – but kids including me were mesmerised. Says Bernard: “The stories I was given were just really good tales, classic stuff like Winnie the Pooh and therefore easy to do because they were well-written. Jackanory finally finished in 1996, though CBeebies Bedtime Stories is a thinly-disguised version that has Hollywood heavyweights such as Tom Hardy and Sir Patrick Stewart clamouring to be on. 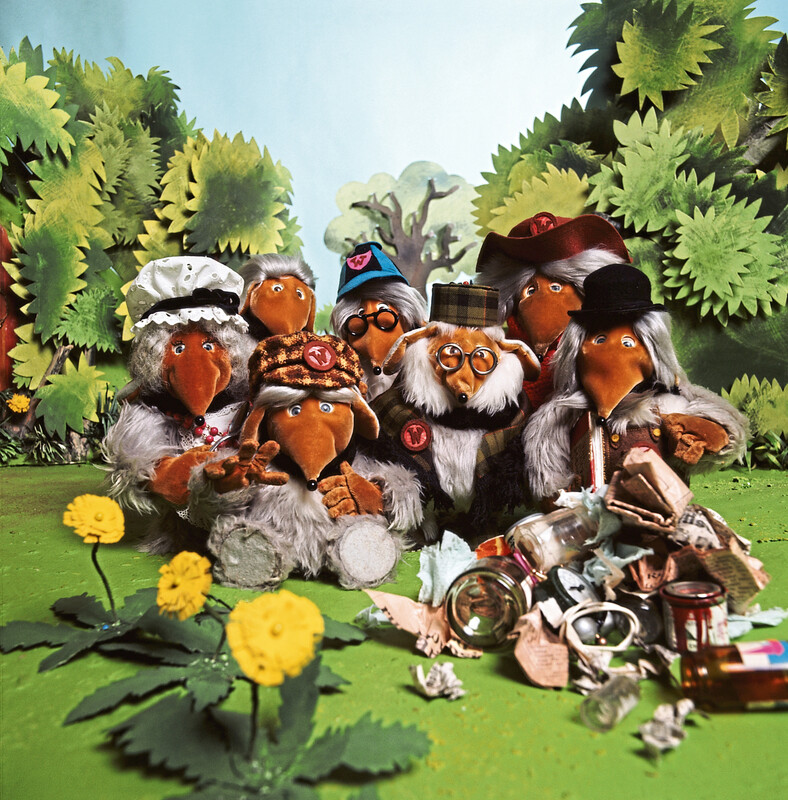 After the success of the Paddington films, it would seem obvious to have a movie reboot of The Wombles but I’m not sure people would accept anyone voicing the Wimbledon Commoners than Bernard. He said: “I would agree. They were re-voiced on one that I saw the other day that Lionel directed and they were awful. 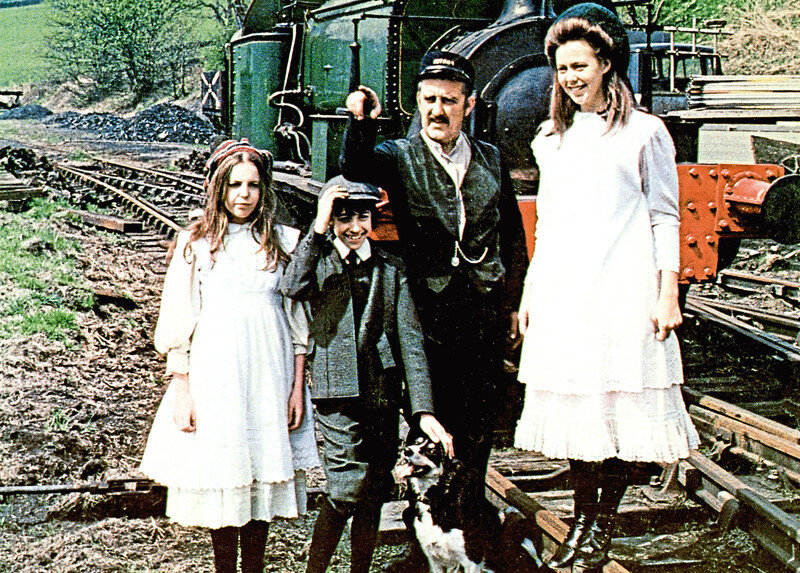 Speaking of Bernard’s old pal, that friendship led to Bernard playing the key role of station porter Albert Perks in The Railway Children, a stone-cold British classic that always seems to be trotted out at Christmas. My folks went to see the live version at Waterloo with a real steam locomotive and raved about it, and Bernard adds: “It was really quite charming. My wife Gill and I went to see it and then had a chat with the gang afterwards. “When we were filming it, Sally Thomsett was playing an 11-year-old and even though she was actually 20 she was so convincing the crew used to give her sweets!,”laughs Bernard. In his near eight decades of acting, Bernard’s worked with them all, basically. 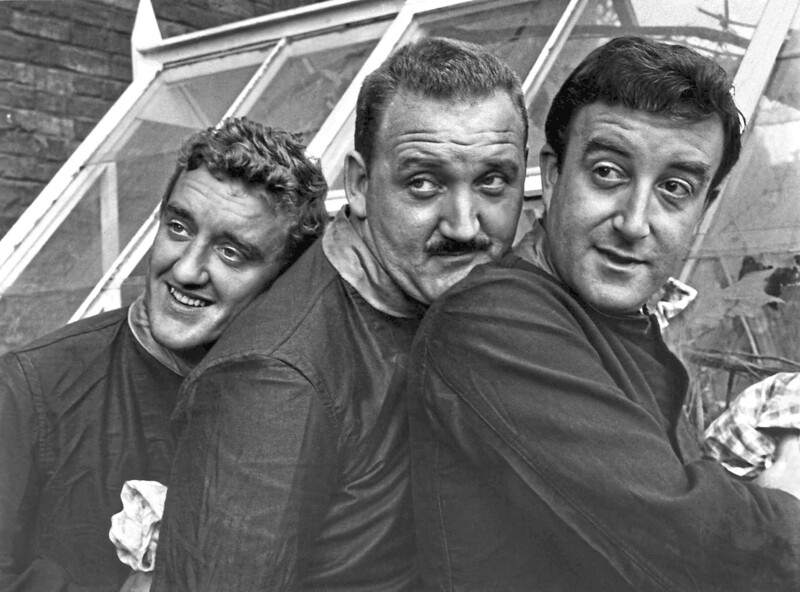 Peter Sellers features quite heavily in the book and Bernard explains: “I did a couple of films with Peter, Wrong Arm Of The Law, Two-Way Stretch and Casino Royale, and it was a great experience. Sellers was known for his love of cars and one day he took Bernard for a spin in a huge Pontiac that had been delivered to the studio for him to try. David Niven’s another name that keeps cropping up, with one dinner overlooking the Med while filming The Best Of Enemies sounding suitably suave. Bernard adds: “That meal has come out rather more glamorous in the book than it might actually have been. It was the end of a quay in Nettuno and we were sitting outside the restaurant, six of us at the table including me and Gill. While most of us would jump at the chance to spend an evening like that, how many of us would fancy snorkelling with Peter Cushing in the Gulf of Aqaba? 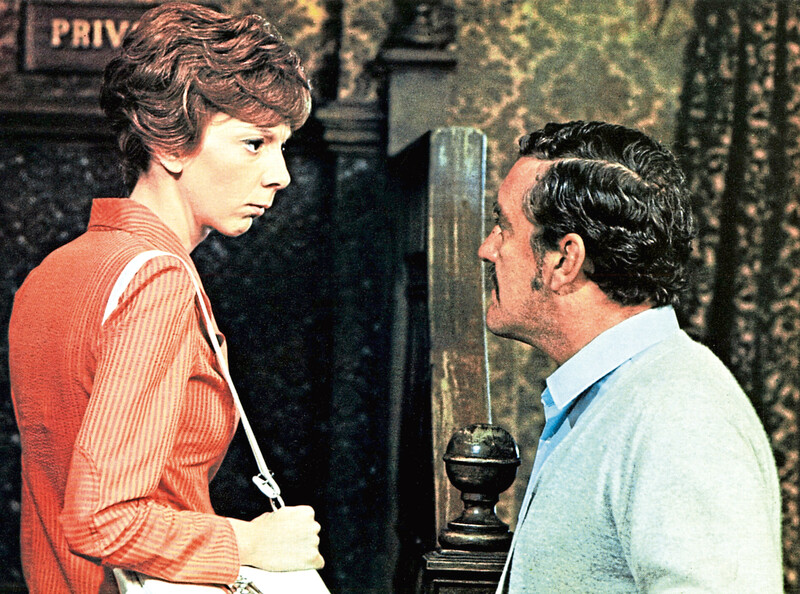 The pair were in Israel to film the Hammer picture She, and Bernard recalls: “We did a couple of films together and that particular one was out in the Negev desert and we used to have a little swim at lunchtime. “He was a very athletic gentleman. He played rugby, he told me, ‘I used to love to tackle people’ and you can’t imagine that ostensibly gentle man knocking people over! Bernard appeared in three Carry On films, Jack, Spying and Columbus though he prefers to gloss over the latter. 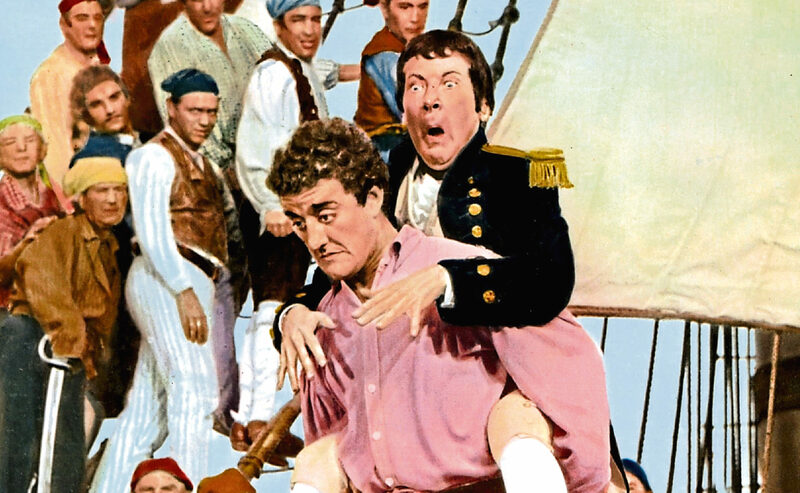 Jack was a corking Carry On, with better production values than most of the usually low-budget series. While filming Jack, Kenneth Williams got into the habit of flashing his backside but Bernard got his own back, painting the aforementioned bottom with black prop paint on one particular airing, much to Kenny’s dismay. Bernard then went against type and played a wrong ’un in Hitchock’s Frenzy. He recalls: “That was lovely, He wasn’t an out-and-out villain, he was just a rather nasty character. “It was a nice little cameo, but to work with Mr Hitchcock I said yes immediately. Well, I’m not the only one who’d had more than a few giggles with Bernard over the years. Bernard Who? by Bernard Cribbins, published by Constable, is available now.